The Tzars are joined by the Tzarevich. Kirova caliber 61, from 1941. Kirova caliber 59, from 1947. Kirova caliber 59, from 1950. 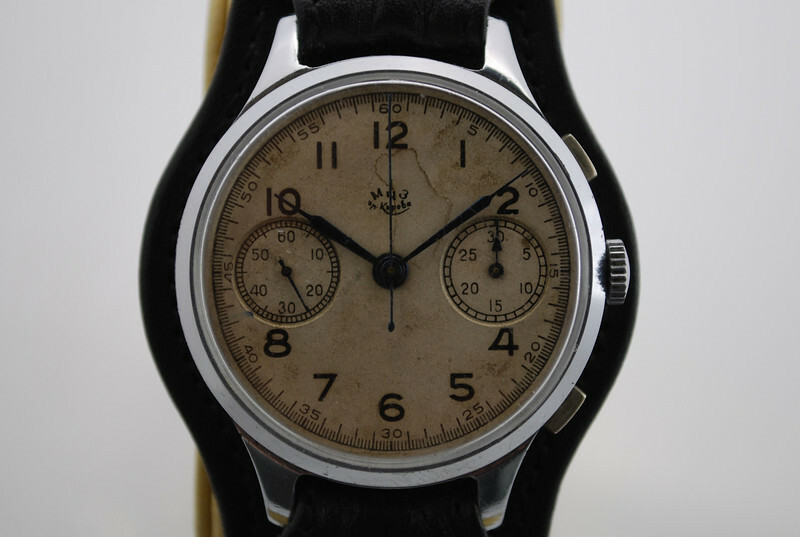 Strela caliber 3017, from 1962. The caliber 61 one button chronograph has a movement from Valjoux, a collaboration with the Swiss manufacturer. 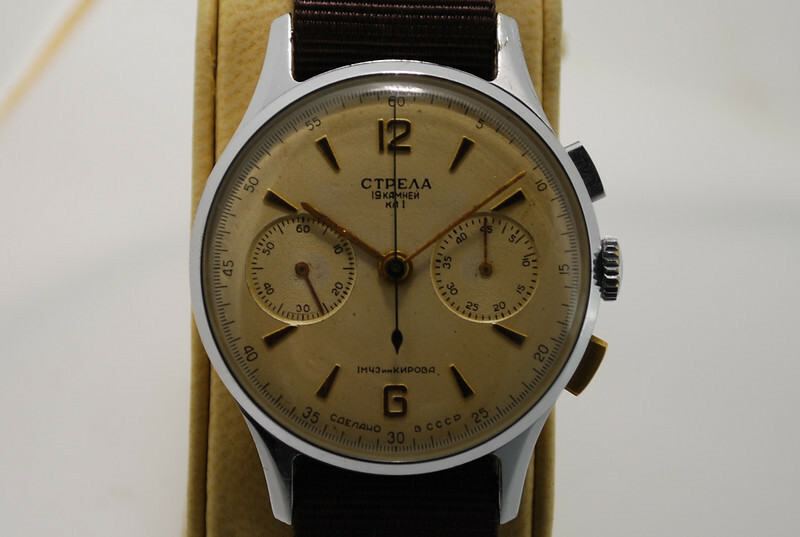 The white Kirova from 1950 is a transition piece between the Urofa 59 based Kirova and the Strela. 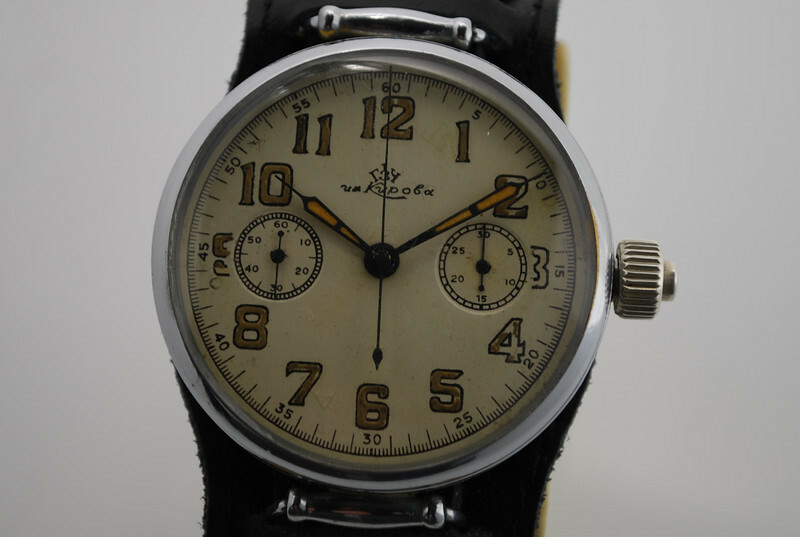 It is considered one of the rarest of Russian watches. Great examples, Lars, and superb photos too. Is your collection "finished" now? There's a cal 59 like yours on the bay right now for 2,000 Euros. Last edited by StampeSV4; 08-04-2010 at 12:35. Thank you guys. A collection is never finished, but I will surely slow it down a bit. I have been collecting in a rate that really doesn't match my income. I saw that Kirova Jon'. It looks good, but doesn't add much to what I already have. There is a version with a diamond shaped logo that I'm looking for however. There is also a German Urofa version in solid gold currently on offer! If it was original, I would have cut off my right leg and bought it no matter what. This one is however a replica. 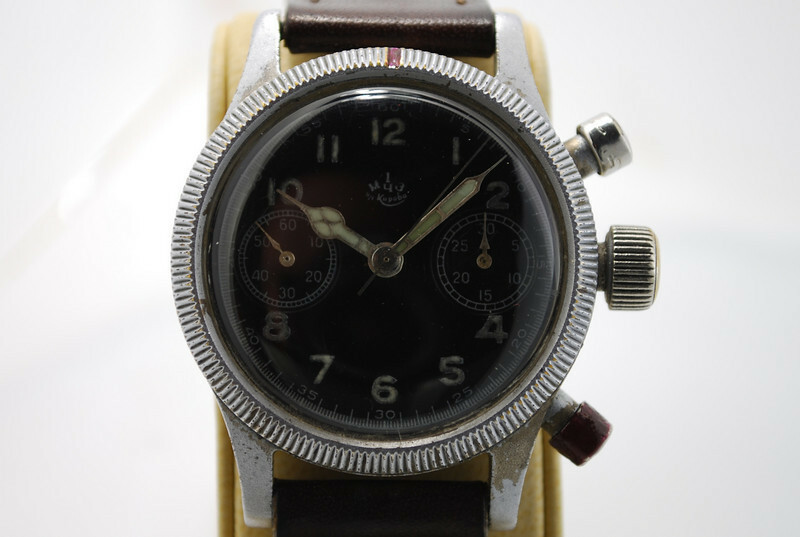 The original was made in a limited series of 20 pieces, and used to honor exceptional bravery in the war.